Mumbai: The National Company Law Tribunal, which dismissed Cyrus Mistry's petition against Tata Sons earlier this week, has held that all the allegations made by the former chairman against Ratan Tata, Tata Sons and group companies are devoid of merit. Instead, during his tenure as chairman of Tata Sons, and a director on the board of Tata Sons, Mistry tried to gain "unbridled control over the group", the tribunal held in its order. In a 368-page judgement made public yesterday, a special bench of the NCLT, Mumbai has delved deep into the history of the Tata family and its businesses, praising all along, the virtues, and "benevolence" extended by the Tatas to the "society" for decades. 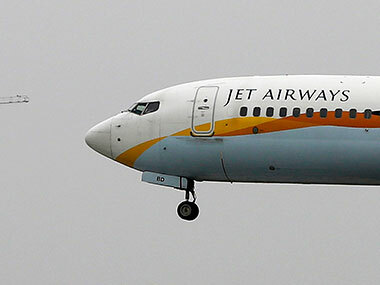 The bench has admitted that it secured such information on the group's origins and the past through "Britannica, and Wikipedia," but considering such history, and merits of the Tata group, it is unlikely that the group could have made prejudiced business decisions solely for personal gains. "The situation necessitated us in giving the background of the Tatas to get a flavour of the values with which this family cherished and to see whether the Tatas can do something to have personal gains for self-enrichment?" Ratan Tata, Cyrus Mistry. AFP image. The tribunal also criticised Mistry for levelling charges against Ratan Tata and trustee director N Soonawalla. Following his ouster as the chairperson of Tata Sons on 24 October, 2016, Mistry moved the NCLT through his two family-run companies, making allegations of rampant mismanagement and oppression of minority shareholders by Tata Sons. 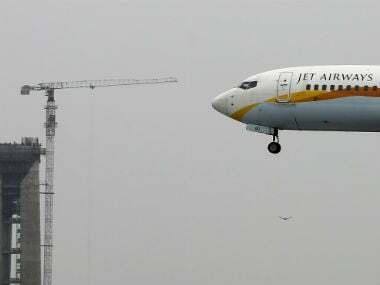 He has also made several allegations against the group patriarch Ratan Tata and accused him of interfering in the day-to-day business decisions of the group companies. Such interference, Mistry had said, caused losses to the over $105 billion group that traces its origins to the mid-1860s. 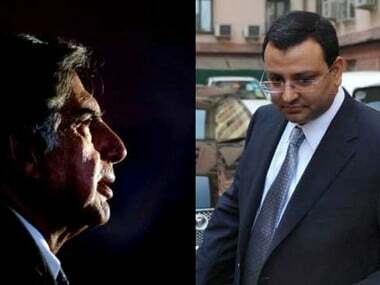 Mistry has alleged that Tata and other trustees, such as Soonawalla, were acting as shadow directors, and controlling Tata Sons as a "super-board". 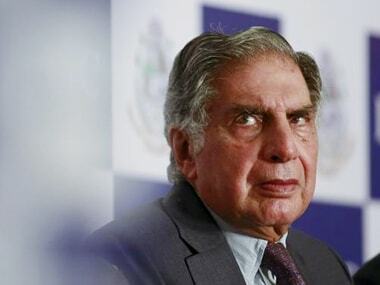 The tribunal, however, dismissed the above allegation, saying considering that Ratan Tata heads the Tata Trusts that owns over 66 percent of Tata Sons, it is unlikely that he would have caused prejudices to the group companies, or to the trusts. "The petitioners so disgustingly tried to drag in the concept of shadow directors to tag Tata and Soonawalla as shadow directors...The petitioner has utterly failed to prove that Tata and Soonawalla acted in a manner prejudicial either to the interest of the company or to the interest of the petitioner," the tribunal said in the order. "On reading the e-mail correspondence and other letters, from Mistry to Tata, Soonawalla and others and also from Tata and Soonawalla to Mistry, it is evident that Tata, as well as Soonawalla, responded to the advices sought not only by Mistry but also from other officers of Tata Sons as well as group companies," it added. "There is a fleet of letters from Mistry asking advice on various issues, when such is the case, can it be held out that Tata suggesting a business idea for the cause of the company is wrong? Is it the idea of Mistry that the majority shareholder should not say anything about the business of the company wherein Trusts owns the majority?" it said. "Is there anyone instance in the history of the Tata group, at least in the regime of Mistry that Tata's advice has been directly put into action without placing before the board? At least I have not found any such action which has not been approved by the board of respective companies in relation to the issues raised by Mistry. 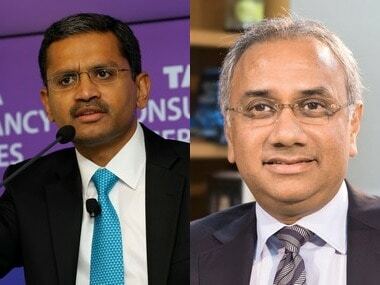 "Tata is heading the trusts that hold more than 66 percent in Tata Sons, and by virtue of this majority as per rule of democracy, these companies have to be run at the wish of majority that is the Trusts headed by Tata," it said. The tribunal also blamed Mistry for "leaking" confidential information pertaining to the group to the I-T department soon after his ouster as the chairperson. It said his decision to send out such information to the I-T department, and to leak other sensitive company information to the press and the public that further led the board to remove him as a director too. Two months after his ouster, the Mistry family-run Cyrus Investments and Sterling Investments Corp moved the NCLT as minority shareholders, against Tata Sons, Ratan Tata, and a few other board members. Two months later, Mistry was also removed as a director on the board of Tata Sons. On 9 July this year, the tribunal dismissed Mistry's pleas rejecting all of his prayers for relief sought under the Companies Act after holding that all of the allegations made in the plea were devoid of any "merits" under the Act. "Tata has not been in the management since 2012. In any event, even the facts are assumed as happened, this cannot become an allegation falling under Section 241 (that permits a member of a company to seek relief in case of mismanagement) of the Companies Act. "To the claim that the conduct of Tata caused prejudice either to the petitioners or to the group we have not seen any merit in the allegation raised by the petitioners," it said, adding the petitioner is free to approach civil courts for relief.